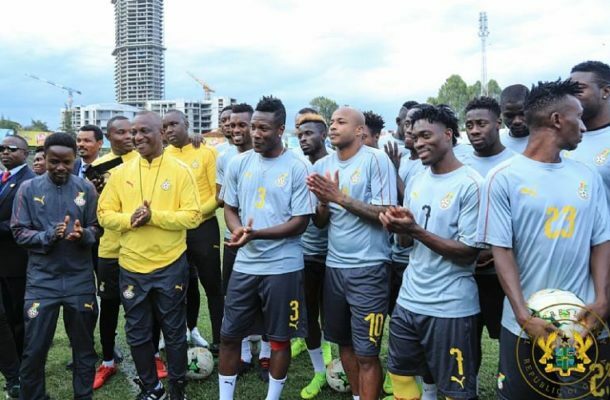 AFCON 2019: Can Ghana defeat itself for glory? When Ghana last won the Africa Cup of Nations, my dad was younger than I am now — and I’m 26, going on 27. That trophy, contested by 16 teams fewer than is presently the case, looked nothing like it does today. Current Ghana head coach Kwesi Appiah hadn’t yet made his debut for the national team; future great Abedi Ayew, who had, was only 17. It was a very different world — one in which Muammar Al Gadhafi was alive and relevant, and in which Issa Hayatou hadn’t even taken charge of the Confederation of African Football. In the 37 years that have followed, Ghana has been at 14 of 18 Afcons, hosting two editions and losing three finals. With each new opportunity that’s missed, Ghana seems to draw ever closer to — yet ever farther from — its grand objective. Come summertime this year, Ghana go again on a fresh mission to strike gold. The Black Stars need no telling just how difficult Egypt 2019 would be. As implied at the outset, the Afcon’s latest installment would be the strongest yet — even if only numerically — and, ahead of last Friday’s draw, Ghanaians hoped for a kind start. Despite not being seeded for the first time in a long while, they got one. There’s a genuinely tough clash with nemesis and reigning champions Cameroon, but that’s sandwiched by two fairly manageable duels against minnows Benin and Guinea-Bissau. Making it out of Group F as winners, runners-up or — may Ghanaians be spared the stress of the prospect — one of the four best third-placed teams shouldn’t be herculean for the Stars, neither should navigating the initial knockout waters even if the competition gets more intense. For six successive editions of the Afcon, Ghana hasn’t had a problem doing all that. It’s when push comes to shove — when the kitchen gets really hot and when the stakes are highest — that Ghana falters. For six successive editions of the Afcon, Ghana has had a problem doing that: summed up in the losses of two finals, four semi-finals and three matches for bronze, often by the narrowest margins. It’s not because the Stars aren’t good enough — they are. And it’s not that all the money given the lads as an incentive isn’t enough — it is. The big obstacle, it seems, is the sheer weight of expectation; the demands of their starved countrymen. None of the other 23 challengers at the coming showpiece in Egypt pass as Ghana’s biggest opponents: desperation does. For six successive editions of the Afcon, it has. By now, the lesson must be clear — but it isn’t. So I’ll spell it out. As has been proven at least four of those six aforementioned tournaments, the pressure never really helped anyone. Little Zambia, champions in 2012, crept to the title under the radar. Relatively bigger sides like Ivory Coast, Nigeria and Cameroon subsequently did the same in years when the spotlight shone dimmest on them. Even Ghana, reaching the final in 2010 and 2015, did so when very few believed they could go all the way. Surely, you do get the point now, no? Few teams ever march assuredly to Afcon glory; so often it’s a slow crawl, rather than a bold procession. As recent examples cited show, the Afcon is usually won when the expectation to do so barely exists. Heading into Egypt 2019, Ghana could beat any side — on a good day — but they’d need to beat that suicidal win-at-all-costs mentality first. Ability and/or money are assets, you know, but low-profile and modest ambitions accomplish far more. It’s as close a guarantee as one could have, and it’s a good thing that the man at the helm, Appiah, appreciates that fact. “I personally think that at the moment Ghana look like underdogs but I have confidence in the players and believe that they will surprise many,” the former Asante Kotoko star told the media after the draw.